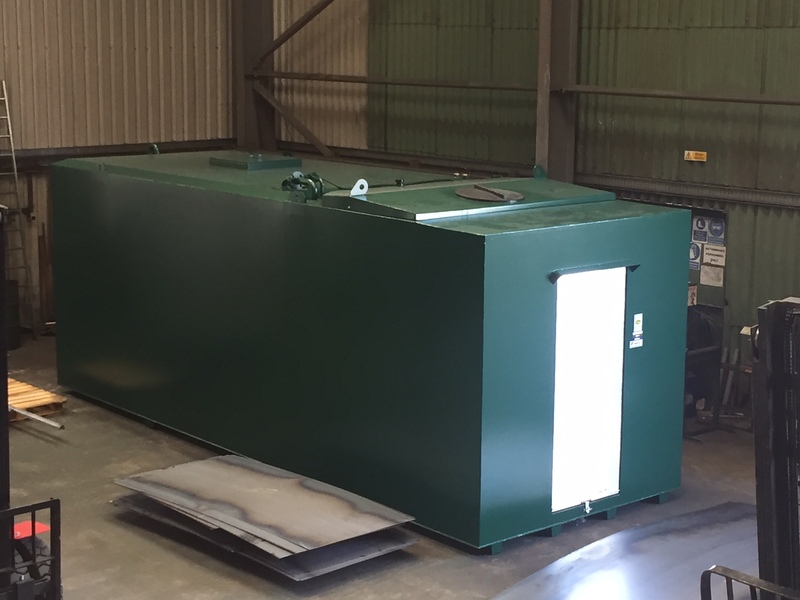 A combined adblue and diesel dual compartment steel tank is the latest dual tank manufactured here at Tuffa Tanks. The tank headed up to Scotland this week to the client. 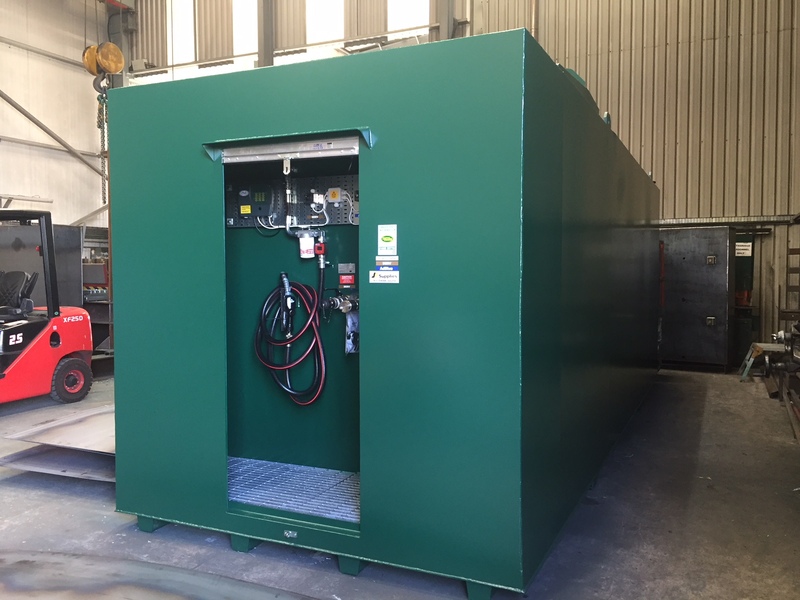 The dual tank houses two compartments of different capacities; an 18,000 litre compartment for diesel plus a 2500 litre compartment for adblue. Each compartment consists of its own premium quality dispensing equipment so to allow easy dispensing of each liquid. Each includes a 240 volt submersible pump, digital flowmeter, delivery hose, automatic shut off nozzle, filter and Tuffa FMS to name but a few items. 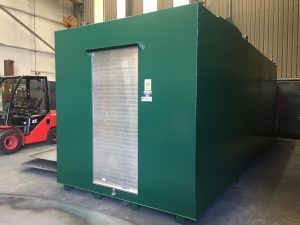 Our client, an agricultural company up in Scotland, sourced the tank from Tuffa since being recommended to us based on reputation, quality and price. The tank is to be used by the client to refuel their agriculture machinery with both adblue and diesel down on the farm. So why choose a Tuffa bespoke dual compartment steel tank? Moving goods from place to place requires a great deal of planning and can be highly complex. Having bulk storage for fuel whether it be diesel or Adblue is an important consideration to keep your fleet moving. Reducing time taken to refuel vehicles by having an onsite fuel tank will help to reduce costs in this competitive industry. Store more than one type of fuel in a single container thus space saving. Allows fleet to fill up onsite with more than one fuel type. Easy to monitor fuel usage. Costs are kept down as you can buy fuel in bulk. Time is reduced as it cuts down requirements to refuel offsite. Bespoke storage options are available. British made and delivered direct from our factory in Staffordshire. 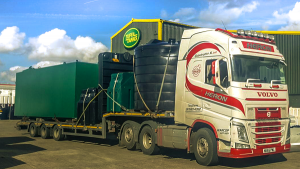 Do you have space restrictions on site and are having trouble bulk storing your fuel? Our range of dual compartment tanks, whether it be a standard plastic model or a bespoke steel tank can help relieve your storage issues because they allow you to store more than one liquid in one unit. Call our sales team on 01889 567700 or complete a form with your enquiry.